Since first catching ear of Germany via Australia convert Jad & The’s (Jad Lee) productions thanks to Berlin champions Toy Tonics, the long haired yahoo has continued to impress this writer. Between countless sets and co-managing the ever popular BEATS OF NO NATION, Jad’s still got time left over to craft his own audio wizardry. 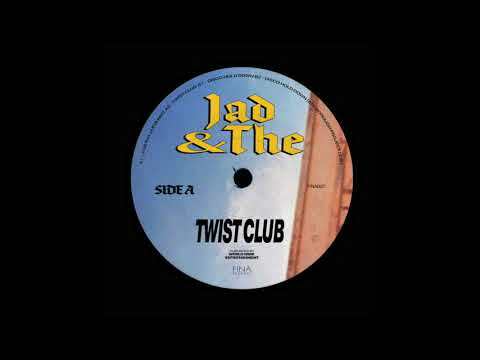 Today it’s a giddy tune by the name of Twist Club. Made up of prominent cowbells, shuttling percussion, whistles and perky key sections, this an all out daytime hammer! Imagine that one friend who’s being a bit of a sad sack and not boogieing, this is that tune to get them off their sorry bums and moving! Twist Club doesn’t try too hard to be something it’s not. A track to warm the heels for what’s undoubtedly going to be a long and joyous day of dance.